When AT&T launches its new over-the-top streaming service called DirecTV Now, new customers will be able to get a free Apple TV or Amazon Fire TV Stick by trying the service. The news comes via leaked online documents that Variety was able to get a hold of, which also indicated several unannounced channels that will be coming with the service. Some of channels include CBS, Hallmark Channel, Galavision, Univision, UniMas, Fox, MundoFox, HDNet Movies, and Sony Movie Channel. AT&T has already announced deals with A&E Networks, Discovery, Disney, HBO, NBCUniversal, Scripps, Starz, and Viacom, leading up to the launch. 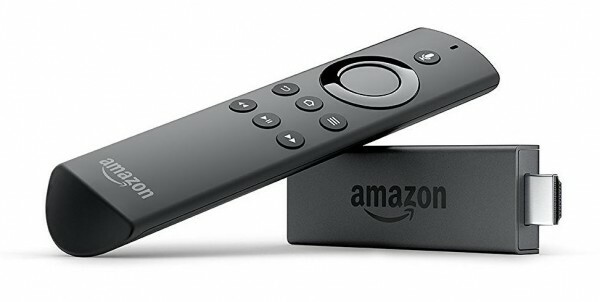 The Fire TV Stick ($39.99) will require at least one month trial of the service, while the Apple TV will require a three-month trial. The leaks didn’t indicate which Apple TV model would be offered, but we would expect it to be the older, 3rd-generation model that currently sells for $69 rather than the 4th-generation $149 model. But who knows? DirecTV Now will cost $35 per month and offer over 100 channels. The monthly rate will compete with Sling TV’s $40 per month plan that combines Orange and Blue packages (40+ channels), and the PlayStation Vue 100-channel service that costs $44.99 per month service. Sony’s PlayStation Vue recently launched on Android TV, while Sling TV has been frequently adding new channels to their lineup almost weekly.